For over a decade, Al DeCesaris has volunteered his time and devoted tremendous effort to fighting Sturge-Weber Syndrome, a rare and devastating neurological disorder that afflicts his niece Jenna. Through innovative charitable events, extraordinary athletic endeavors, and his “For A Cure” books, he has created significant awareness about the disorder and raised critical funds for medical research. Al’s crusade began not long after the birth of his niece. 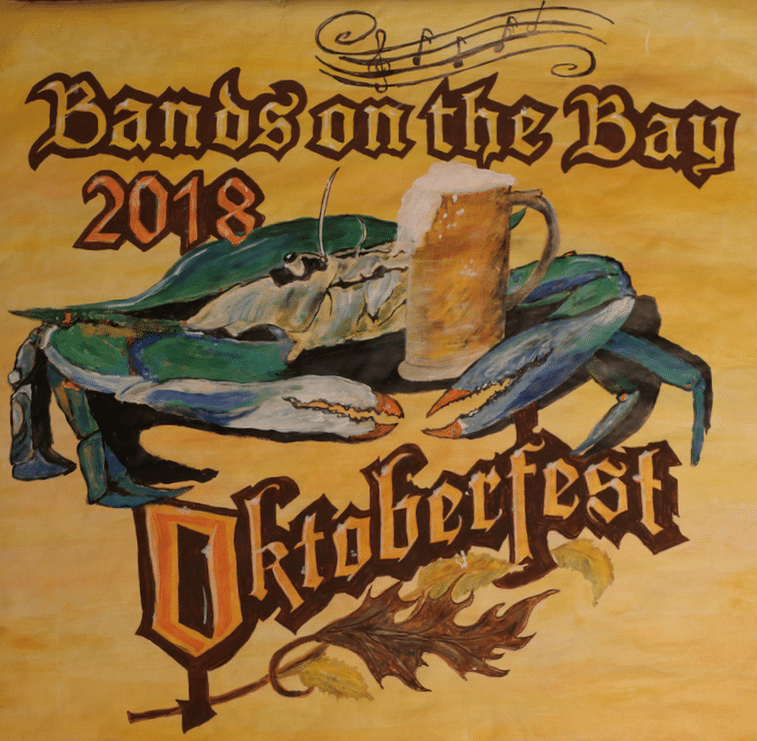 Recognizing the importance of raising funds for medical research, he co-organized an annual concert and auction fundraiser called Bands on the Bay. Over its 10-year run, the event raised over one million dollars for the Kennedy Krieger Institute and helped fund research that led to the ground-breaking discovery of the cause of Sturge-Weber Syndrome. Even with the success of Bands on the Bay, Al couldn’t help but think there was more they could do to further the efforts to find a cure. More he could do. In 2013, he set out on a solo coast-to-coast bike ride in honor of Jenna. Pedaling on average 75 miles per day, he rode from Santa Monica, California through 14 states and over 3,000 miles before completing his remarkable Crossing America For A Cure bicycle journey in Ocean City, Maryland. The following year he took on another challenging endeavor, this time on foot. 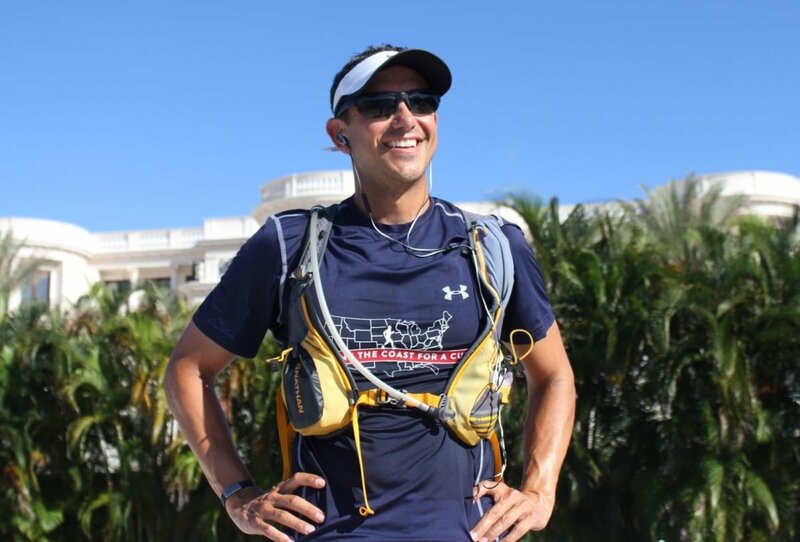 Without a support team and with no marathon experience, Al covered on average 22.5 miles per day for three consecutive months during his Running The Coast For A Cure charity run, which took him from Lubec, Maine down the entire East Coast to Key Largo, Florida – 1,935 miles in all! In 2017, Al returned to the road for an exciting endeavor which had him hiking the historic Camino de Santiago (Way of St. James) across Spain to the Cathedral of Santiago de Compostela before reaching his final destination of Cape Finisterre overlooking the Atlantic Ocean. Each day of his 31-day, 555-mile Hiking Camino de Santiago For A Cure journey of hope was dedicated to a different person living with Sturge-Weber Syndrome. Through his extraordinary athletic endeavors, Al has created awareness about Sturge-Weber Syndrome in both the United States and Spain, raised critical funds for medical research, and brought hope to his niece Jenna and countless others living with this devastating disorder. During and after his charity ride and run, Al wrote about his experiences on the road: the things he saw, the emotions he felt, the challenges he faced and of the extraordinary people he met along the way. His books, Crossing America For A Cure: A Bicycle Journey Of Inspiration And Hope and Running The Coast For A Cure: One Man’s Journey For His Niece With Sturge-Weber Syndrome, are honest, entertaining and, above all, inspirational. 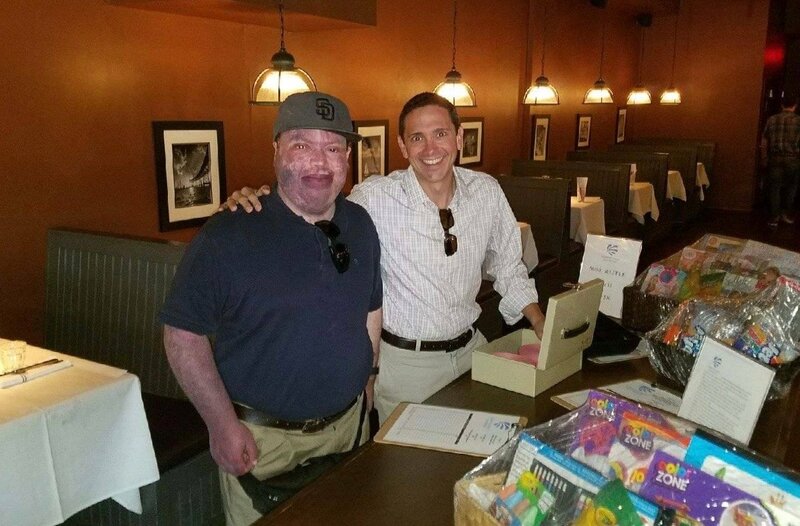 To further the efforts to find a cure for Sturge-Weber Syndrome, Al is dedicating all profits from the sale of his “For A Cure” books to medical research. The books are available in Kindle and paperback on Amazon. Al is a public speaker who is extremely passionate about the charitable work he’s involved in and is always willing to share his story of advocacy and service with others. Using his extraordinary athletic endeavors as examples, Al delivers an uplifting message of inspiration and hope, and demonstrates how we all have the power to make a difference through charitable work. His audiences are motivated and empowered to find their purpose, go the distance for those in need, and create positive change in the world! Al graduated from the University of Delaware with a Bachelor of Arts in International Relations. He furthered his education at the University of Baltimore, earning a Master of Science in Criminal Justice. He then went on to earn a Juris Doctor from Loyola University New Orleans College of Law. Al is the Vice President of the Board of Directors of Celebrate Hope Foundation, Inc., an IRS registered 501(c)(3) nonprofit charitable organization dedicated to improving the quality of life of those affected by Sturge-Weber Syndrome and port-wine birthmarks.